Why is Online Rummy Popular in India? Why is Online Rummy Popular in India? Why is Online Rummy Popular in India? Playing rummy on the virtual platform throws open a plethora of variants that you could choose from. Even if you are proficient at only a single variant of rummy, you could learn online about the other variants, and, who knows, you could prove to be a pro in a lot of them too. This kind of opportunity and exposure is limited in offline rummy. On the other hand, online rummy offers you unending options like 13-card, 21-card, pool, deal, and point rummy. Unlike rummy that is played with real cards, online rummy is played by people from different locations. Today, you can even interact with your opponents and, if you hit it off with them, you all could share a few tricks and tips on the game. Playing online rummy on sites like KhelPlay rummy is not only engaging, but also a lot of fun as you get to interact with other rummy enthusiasts and like-minded people. Effectively, your chances of expanding your social circle are increased significantly with regular online rummy. 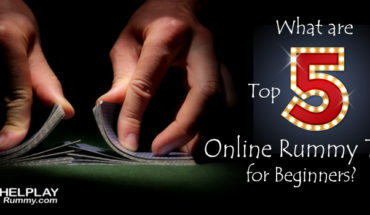 The rummy websites today have made a lot of improvements to suit the needs of most rummy players. Games on these sites can be played anytime during the day, as per your convenience. Also, there are tournaments organized on the sites, primarily in the late evenings, so that enthusiasts who are working professionals can make it home in time to participate. Moreover, if the site in question has an app for smartphones, you could also play rummy on your way to work or back, or during any random time. There’s also the option of stopping and resuming a game, so you can attend to other pressing requirements of the day. In case you have been playing on a particular site, and you encounter a technical glitch, you could switch to the mobile app version and take off from where you left. Playing for real cash is no longer restricted to rummy played on a physical table. 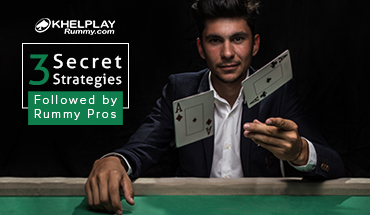 Websites like KhelPlay rummy offers a safe platform to play with real cash. With a secure platform, players can enjoy a true and real-life-like experience while playing right from their homes. Rummy sites, thus, make it thoroughly engaging and fun to play real-cash rummy, anytime and anywhere. The classic Indian rummy rules is also very simple. Anyone can play it with ease. If the website you’re playing on scores high on user interface, then you can keep a check on a lot of things in one go. 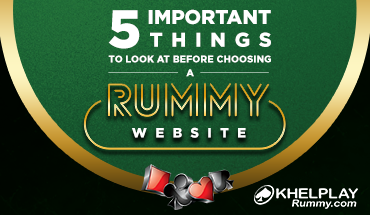 A good rummy site must display everything that’s important on the home page itself: promotional games, tournaments, rules, FAQs, terms & conditions, etc. Because all the important information about cash games are readily available on the virtual platform, it becomes more desirable than playing rummy at a club. Not to mention, there’s also the comfort of participating and winning loads of cash while sitting in your own home.